In my last few posts I’ve been introducing you to the heroes of my books. Today is no exception. My latest novel, The Other You, released last week in the Whispers of Love box set with eleven other great novels. What I’d like to share with you today happened way before Armand DeBois, the hero of The Other You, was conceived in my mind. This is the story of how I came to hear of and meet the man who played a huge role in shaping the character of Armand. After reading this, I think you’ll understand why I wrote this dedication for this story. Thank you for sharing your 2012 experience, and your faith with me. Both inspired much in this book and the character of the hero, Armand DeBois. May our Father continue to use you in amazing ways. You are truly special people, and I am blessed our paths crossed on this earth. Turn back the clock to the beginning of 2013. I was visiting my parents who lived with my sister and her husband on their farm about 90 minutes away from my house. We were sitting around the kitchen table chatting about writing, and I was telling them how much I wanted to write a story set in the Cape winelands. My brother-in-law hurried off and came back minutes later with a Farmer’s Weekly magazine. He showed me an article and said I should read the two page interview with Weltevrede Wine Estate owner, Philip Jonker. The interview was all about the farm strikes in 2012 in the Cape winelands within the fruit and wine industry. Philip shared his experiences and spoke of the part he played in the negotiations to bring about peace and stability. I was so awed by this wonderful Christian man’s story, I visited their website, got his email address, and wrote to him. He was kind enough to share emails with me he’d written to friends and family during that time—his daily journals of the happenings. I was blown away at how God used this bold man. Subsequently, I brought the farm strikes into The Other You, and used Philip’s experiences as a basis for my hero’s story (with Philip’s knowledge of me writing this into the story). A few months later we visited Cape Town and took the two hour drive out to Weltevrede Wine Estate. 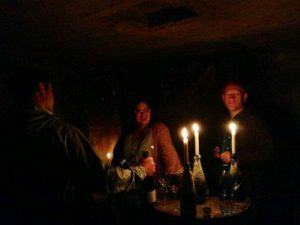 We met Philip and his wife, Lindelize, and were treated to the best wine tasting experience ever…by candlelight in an old underground cement wine vat. With The Other You finally written and published after three years, looking back I’m astounded at how God puts things into motion long before they come to pass. 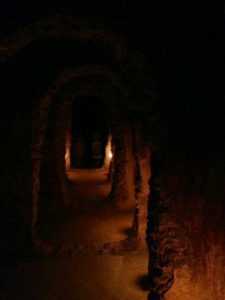 The ringing in Armand’s ears disturbed his sleep. When he realized the noise was not part of his dream, he fumbled on the pedestal for his cell phone. It seemed to shift with every ring. Disoriented, his fingers finally wrapped around the instrument. He glanced at the screen before answering the call. Almost five, time to get up anyway. “Hello,” his voice croaked, thick with sleep. “Moses, I need you to stay calm. Call everyone you can, and tell them to stay at home today. I will contact you when it’s safe.” He’d save the number once he cut the call. In the distance, Armand heard the chanting. There was no time to lose. Moses had to warn his workers, and Armand had to warn his in-laws. They would have to contact the office staff. Armand nodded as he eased back the curtains. The night sky was only just beginning to lighten. He couldn’t see anything from his bedroom window, but he could hear—the shouts were coming closer. “We will need all the prayer we can get.” He cut the call and listened again, suddenly fearing he might not be okay. How was he to face an angry mob? Alone? He needed to pray. And he needed to call Peter and Kate. Currently, The Other You i s only available in the Whispers of Love box set—12 novels for a limited time only. Thanks for sharing the backstory, Marion! And congratulations to all who contributed to Whispers of Love. The #79 spot on this week’s USA Today bestseller list…awesome! Thanks, Jill. It was an amazing surprise hitting USAT, and such a blessing from above. Thanks for sharing Philip’s story and an excerpt from Armand’s. I haven’t got around to this one yet, but Whispers of Love is proving to be full of amazing stories. I might just read this one sooner rather than later (not that I’m reading in order anyway). So glad to hear you’re enjoying Whispers of Love, Priscila. I hope you get to The Other You soon. 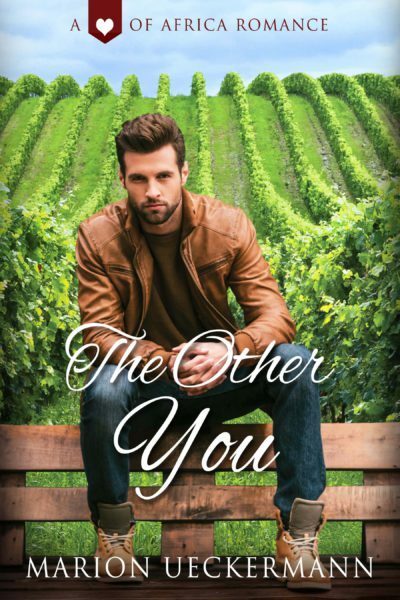 Thanks for sharing the background information about farm strikes in South Africa that laid the foundation for your inspiring romance The Other You in Whispers of Love. I had fun this morning exploring the Weltered Wine Estate website. I am always amazed at the similarities between the languages of Afrikaans and Dutch and German. Your story touched my heart because SW Michigan has many vineyards and wineries. One of our local wineries Tabor Hill just announced their 15 winning wines at the Los Angeles International Wine Competition. Michigan is also a large fruit producing are state. Number 1 in USA for blueberries, which we are harvesting. Conversing with area farmers, I understand how difficult it is to keep workers for our farms, vineyards, and orchards. Confucius says: “By nature men are pretty much alike. It is the learning and practice that set them apart.” That is why I so enjoy your romances, they keep me learning and exploring new cultures. Well done. Keep writing. Thank you for a behind the scenes look at your book. I enjoyed reading The Other You! Hope to read your other “A Heart of Africa Romance” as well. Glad you enjoyed The Other You and the sneak peak behind the scenes, Lientjie. I think you’ll love spending time with the elephants, so hope you get to Orphaned Hearts soon. Thanks for sharing your inspiration for the story. It’s always interesting to learn what lies behind a story. Thanks, Merrillee. I often wonder how The Other You would have turned out had I not read that magazine article, had I not made contact with Philip. I love to hear about the inspiration behind an authors book! It makes the story so much more interesting! 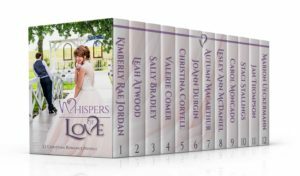 I have just purchased, Whispers of Love, and can’t wait to get started reading your story! Thanks!! Lori, I always stand amazed when I look back on a book to see how God has worked in shaping the story. Enjoy Whispers of Love, and I hope you enjoy The Other You when you get to read it. Such a fascinating backstory, Marion! Thanks for sharing. Love the excerpt. I like the mystery of not know what’s going down, like who are they trying to avoid? I have to read to find out. And I must say the book cover is oh so fine. My boyfriend’s name is Moses so I will be drinking each time they say Moses. Thanks, Brenda. Hope you get to read The Other You soon. I was really excited when I came across that cover image…he was me hero to a T.
I like it when authors give us a glimpse of the behind-the-scenes in their books! I’ll definitely have to check this collection out :-) Interesting facts about the vineyards, Marion, and that your brother-in-law shared that tidpit with you. Thanks for sharing! Sorry so late in commenting, but catching up on my reading leaves no time for blogging, lol! Thanks for stopping by Trixi. It’s never too late for a comment. Don’t leave it too long to check out Whispers of Love … the set is available for a very limited time.